Other than an obvious traumatic injury, it’s sometimes hard to determine when your eyes need emergency care. 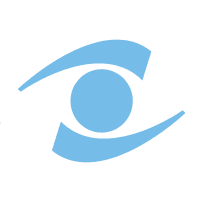 The experts at Rocky Mountain Eye Center, with locations in Missoula, Hamilton, and Butte, Montana, encourage their patients to schedule a visit whenever they’re concerned about their eye health. There are a few conditions, however, that require medical attention sooner rather than later. Significant eye pain, sudden vision loss, and signs of a worsening eye infection can all require emergency care. Schedule a visit today. Any time you have a foreign object embedded in your eye, cuts around your eye or across the eye itself, or blunt-trauma from a blow sustained during an accident or altercation, you should be evaluated by one of our optometrists as soon as possible. Significant injuries may require further treatment from one of our onsite ophthalmologists. Rocky Mountain Eye Center has a physician on-call 24/7. When Should I Call the Eye Doctor? A completely detached retina causes total vision loss in the affected eye. Surgery to repair detached and torn retinas is provided at the Rocky Mountain Eye Surgery Center in Missoula. What Other Conditions Cause Eye Care Emergencies? You may be tempted to wait and see if an eye infection clears on its own. However, numerous eye infections can do great damage if left untreated. Uveitis, for instance, is often caused by an infection that inflames the middle-inside portion of your eye. Uveitis can lead to glaucoma, retinal detachment, or cataracts. Symptoms of uveitis include light sensitivity, eye pain, and redness. Treatment includes steroids to reduce inflammation and antibiotics to treat the infection. Self-care won’t negate the risks of uveitis and other dangerous eye infections. Don’t wait. Schedule an appointment at Rocky Mountain Eye Center today. Call the office nearest you or book your visit online.